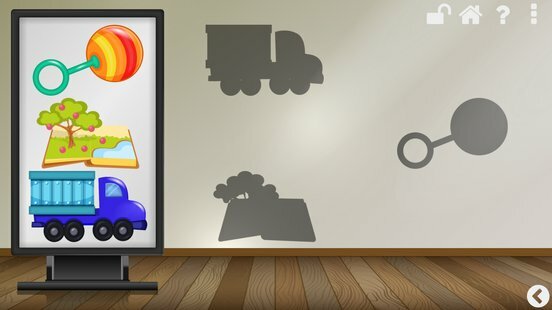 Fun educational game where the aim is to drag and drop the objects from the panel to their respective shadows on the wall. This game helps kids to improve the hand to eye coordination and it’s a good exercise that enhances the right side of the brain. Depending on the target age group you select in the app’s difficulty panel, there will be less or more tolerance for detecting the correct drop on the shadow. For example for group “4+ years” you have to align object with the shadow quite precisely , while for age group “0-2 years” the overlap of object and shadow can be pretty loose. This is the activity suitable for the smallest children. Each time a player touches the screen a visual effect appears and the one tone from one of the songs is played. After entire song is played the next song will be loaded and played. Each song has a unique visual effect and instrument assigned. All the songs are customisable in the Keyboard activity, where you can record your own song as well. Simple and fun game aimed at younger kids. 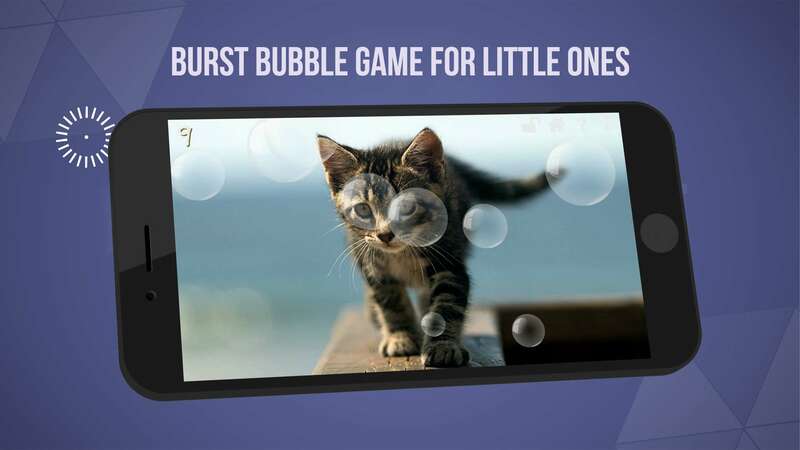 The aim is to burst all of the bubbles that floats across the background images. 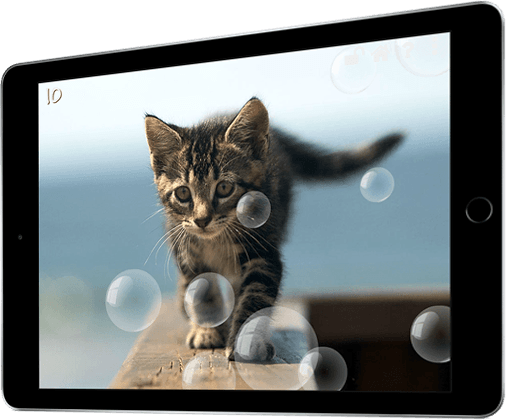 Background images are images of cute kittens and puppies. 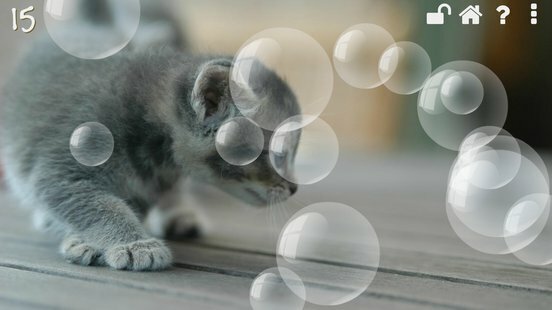 After bursting all the bubbles the new background image is loaded. Changing the target age group will adjust the speed and number of bubbles. 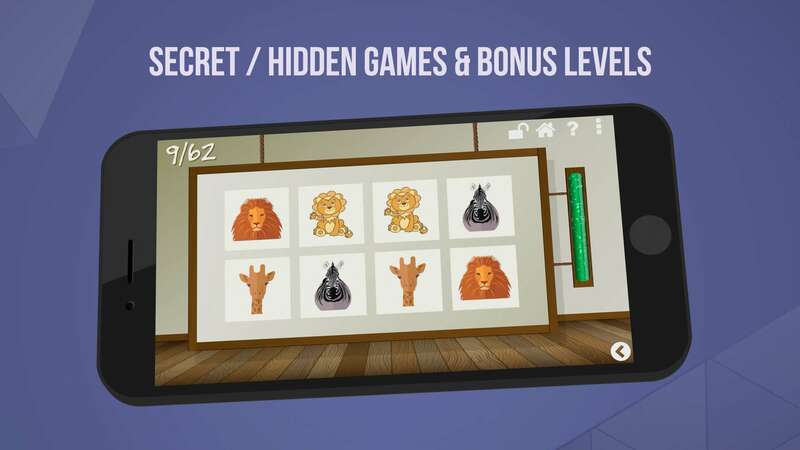 Momory pairs is a hidden / secret game. It can be launched by clicking on the right heart on home screen. Digital version of the well known board game. The aim is to turn over cards (2 at the time) and find a matching pairs which are then removed from the playing area. Depending on the selected age group, cards are briefly revealed at the beginning. In the 4+ group, cards aren’t revealed at the beginning and also number of cards is higher. The number of cards will increase as the game progresses as well. In this activity you can change the instrument and visual effect for the current song, record your own song, and manage the existing songs. When you tap on the screen in the upper section, the current song will play, but it will also show which notes are being played on the keyboard. 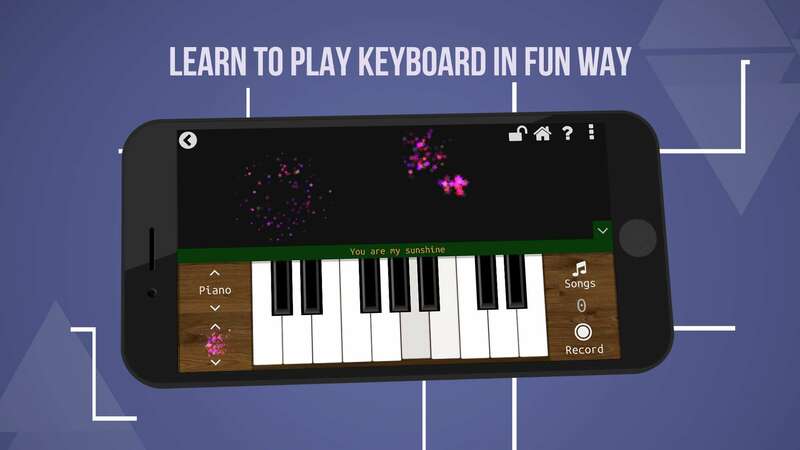 Children can then repeat the same sequence of notes on the keyboard in the lower section and thus learn how to play keyboard in fun and intuitive way. In Manage songs panel you can check or un-check the songs from the playlist, randomise the order of the songs, select the song to be current but also play, delete or edit song. When editing the song you can change the song name, effect and the instrument. 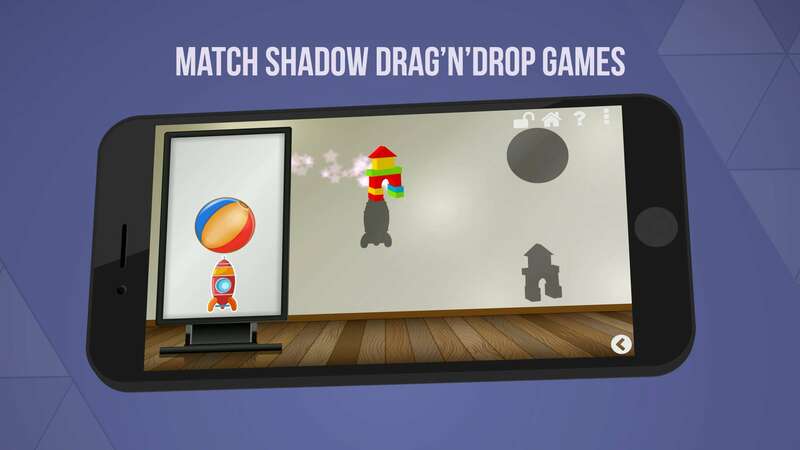 This is a Match Shadow bonus game which will be triggered after playing a few levels of Match Shadow game. Game of fast reaction! Player have to tap on one of the 6 squares that light up in a random order. Each hit accompanies a western sound effect, that goes well with the country western background music. 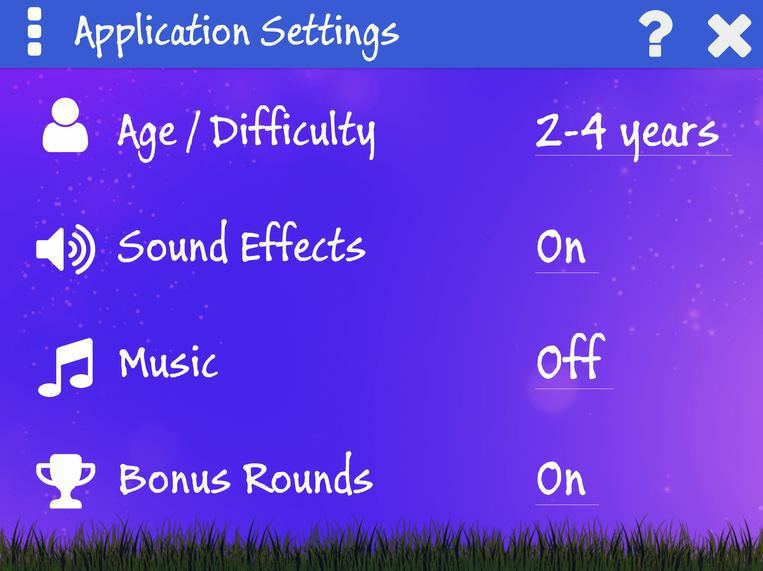 Speed of the game as well as duration can be adjusted using by using different target age group in the settings panel. Game of accuracy, speed and fast reaction. In for columns there are 3 white and one black tile. The aim is to hit the last black tile without hitting the white tiles, or without letting it pass the bottom edge of the screen. Hitting the black tile will play a note of the currently loaded song. 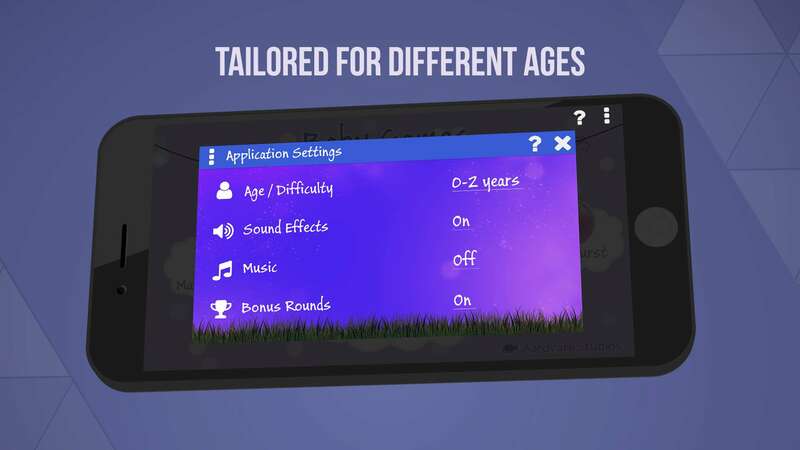 When age group 0-2 is selected, the tiles don’t move by themselves but movement of tiles is triggered by player tapping the last black tile to make it easier to play for the younger kids. Paint is the secret game or activity and can be accessed by tapping on the bigger heart hanging on the washing line on the home screen. 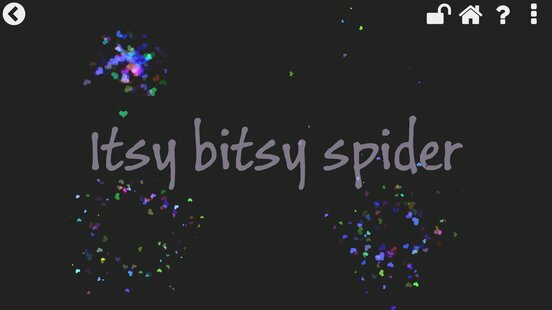 It’s a simple multi color drawing app , with an option to select different colors of the brushes, increase or decrease their sizes, switch to erase mode instead of pain mode, and button to erase entire drawing at once. The drawing is done on the top of the images of kittens and puppies, so children can learn how to trace and draw the animals. 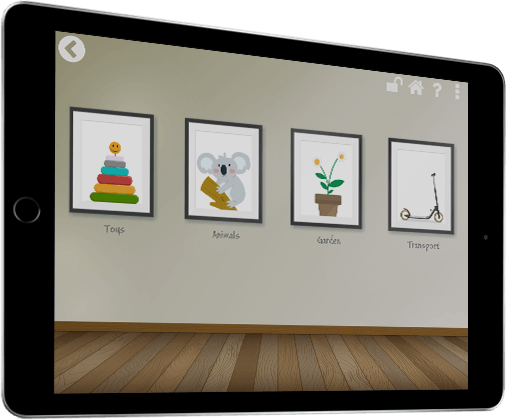 Another use of this app is for adults to draw numbers, letters or shapes and letting children to repeat them, which can make learning fun. This is bonus game / activity for Bubble Burst. It will be automatically triggered after playing few rounds of Burst Bubble game. The aim of this activity is very simple, just pop all the bubbles in the wrap sheet before the time runs out. The available time to finish the level and size and number of the bubbles depends on the age group settings. The Match Shadow game or Piano Tiles are and excellent way to develop your child’s fine and coarse motor skills. Games like Match shadow, Burst bubble , whack a mole are excellent way to improve your child’s hand to eye coordination. 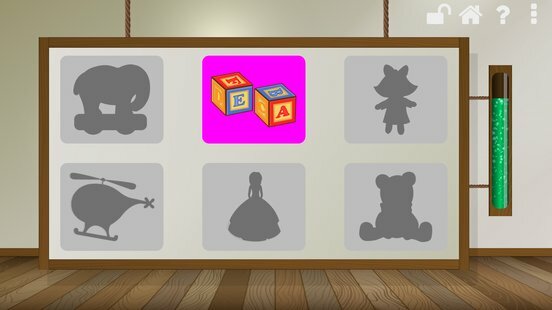 Parents can teach the children names of various objects inside the Match Shadow game, and turn fun game into a learning opportunity. Memory Pairs game is great way of having fun play while training your memory as well. Games like Whack a Mole, Bubble Burst or Piano Tiles are great way how to increase your child’s reaction times. 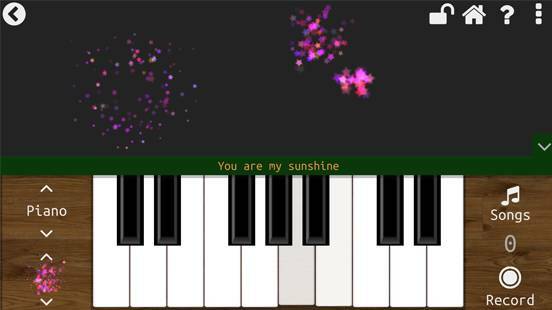 Keyboard activity encourages kids to learn to play keyboard in fun and engaging way. Draw activity can help your child to develop his or her artistic skills, learn about different colors and shapes. 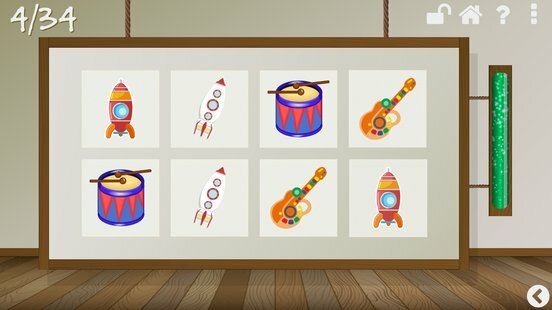 Musical drum and Piano Tiles activity can teach children new song and nursery rhymes. Easiest difficulty, appropriate for babies and toddlers. 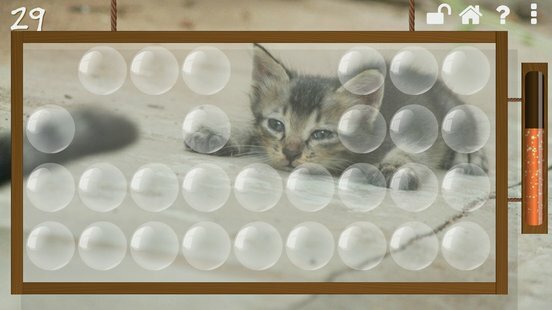 Small number bubbles in Bubble Burst game or cards in Memory game. 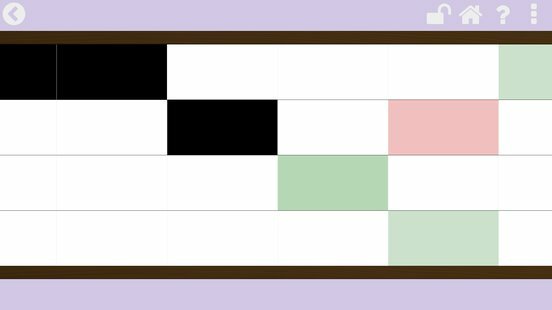 Piano Tiles game uses user triggered motion. 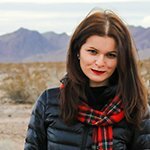 Forgiving detection of drop in Match Shadow game. Medium level difficulty. Piano Tiles movement is not user triggered, but speed is quite slow to moderate. Average number of bubbles in Burst Bubble game. Medium time required to clear bonus levels. Most challenging mode. Fastest movement in Piano Tiles, least amount time required to finish bonus levels, maximum number of bubbles in Burst Bubble, least forgiving drop detection in Match Shadow. Maximum number of cards in Memory game. While majority of the apps on the app store makes profit from the in-app purchases and ads, Baby Games is good old "pay once - no longer worry" kind of app. 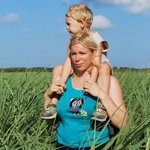 We don't want to expose your child to ads, or have them clicking on in-app purchases accidentally. 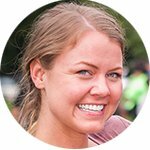 No hidden payments, no ongoing subscriptions. Pay once get free updates forever. Nine games for the price of one! 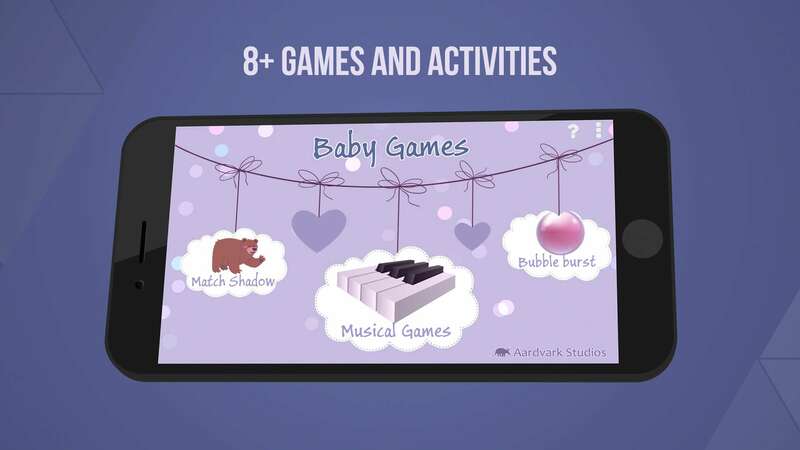 There are 9 included games and activities: Match Shadow, Musical Drum, Burst Bubble, Piano Tiles, Memory Pairs (Secret game), Draw Activity (Secret activity), Whack'a'Mole (Bonus game in Match Shadow game) , Bubble Pop (bonus level in Burst Bubble game). All of the games and activities feature high quality graphics and audio. 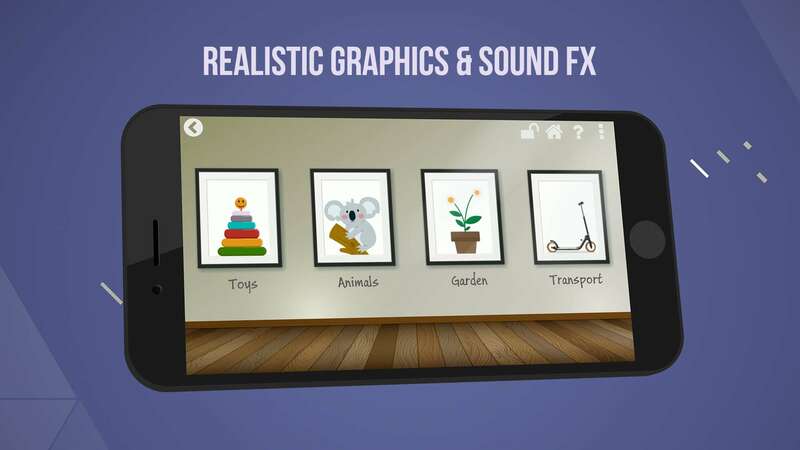 By using realistic graphics and audio games and activities become more engaging and children tend to spend more time playing them. 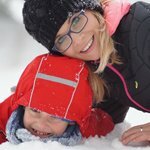 While it can certainly be played by child alone many games and activities will greatly benefit by parent's cooperation. For example Match Shadow can become an excellent opportunity to teach your baby new words. You can use Draw activity to teach your baby about shapes, colors, or your toddler about numbers and letters. 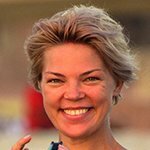 Parent can record child's favorite songs to be used in Musical Drum and Piano Tiles games. I found out I play with this app more then my daughter! I play mostly memory pairs game can get quite challenging in the later levels. My daughter likes the piano activity and recording her own songs, some of them are pretty good! 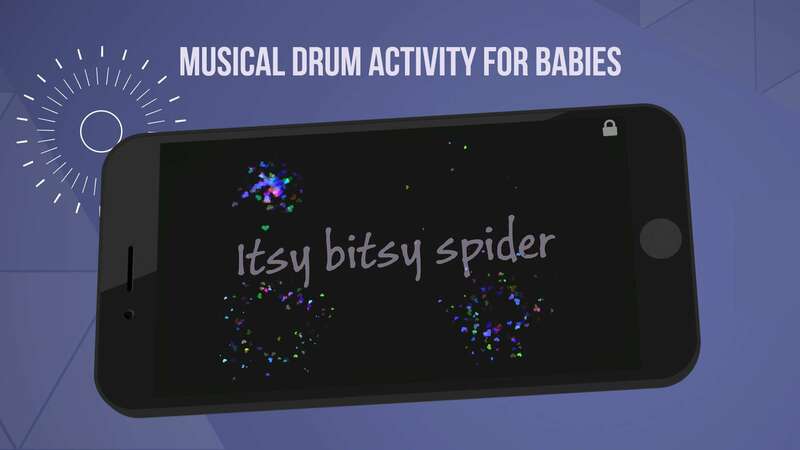 I love this app, my son is only 8 months old but he enjoys the musical drum activity as well as the bubbles popping. 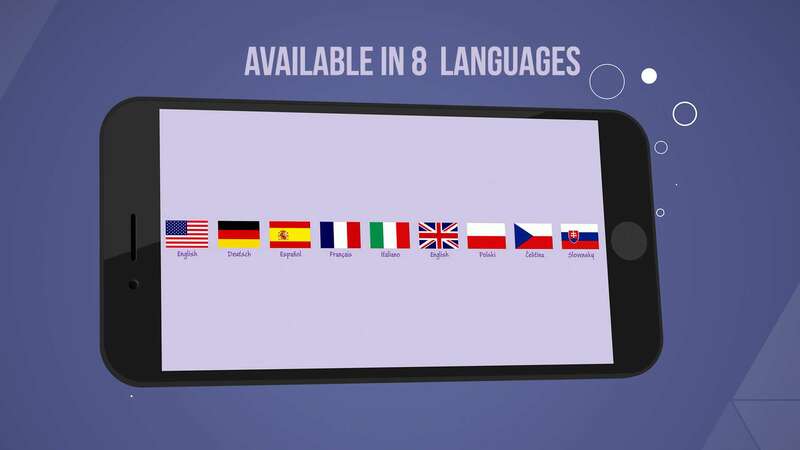 Great app , lovely graphics… thanks developer! 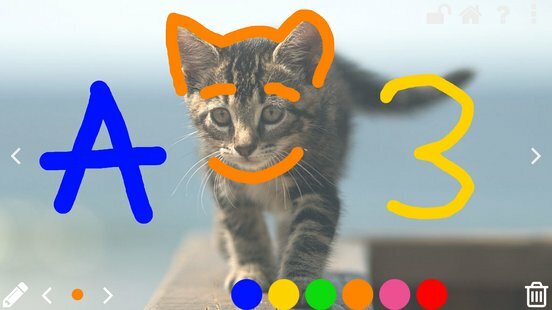 I especially love Draw app, I use it to teach my daughter numbers and some simple shapes. She is a big fan of the pop bubble game. 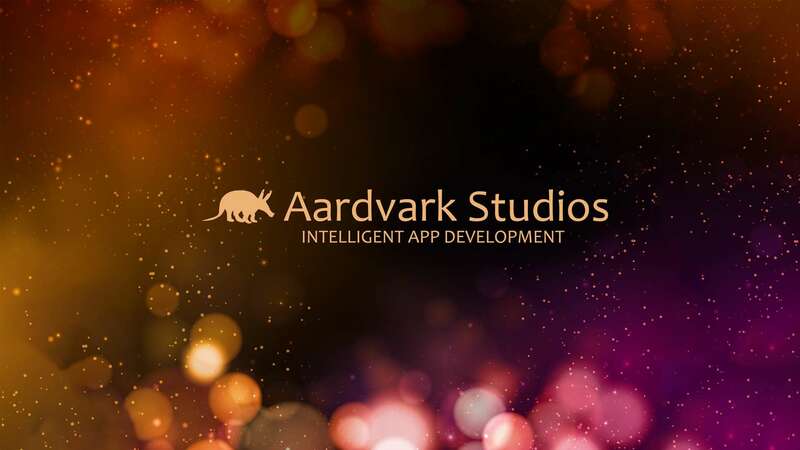 © 2019 Aardvark Studios. All Rights Reserved.